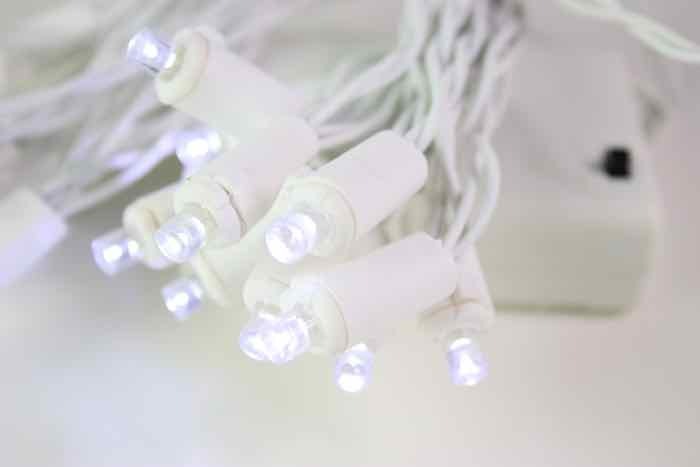 A small lens that packs a big punch -- wide angle LED Christmas lights! 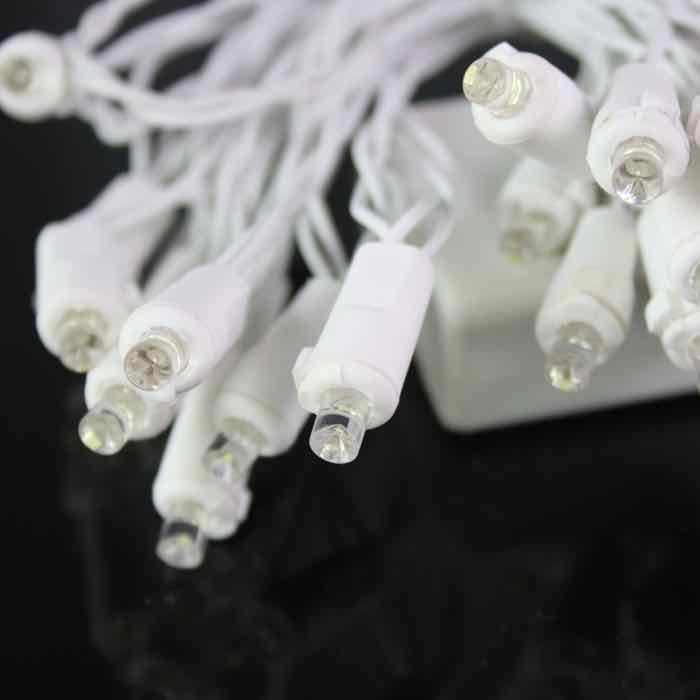 This pure white bulb shines with a wide array of light that is surprisingly bright for its size. 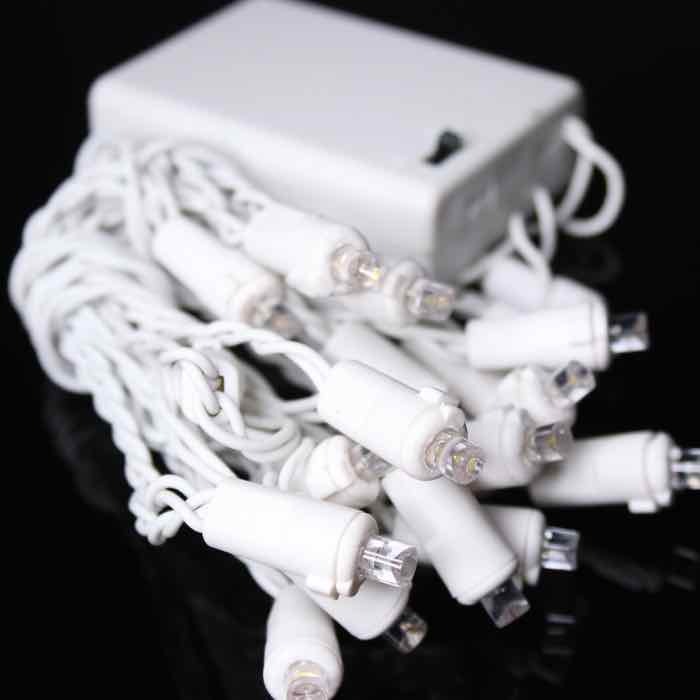 White wire blends beautifully into decorations that don't lend themselves to battery sets with darker wiring. 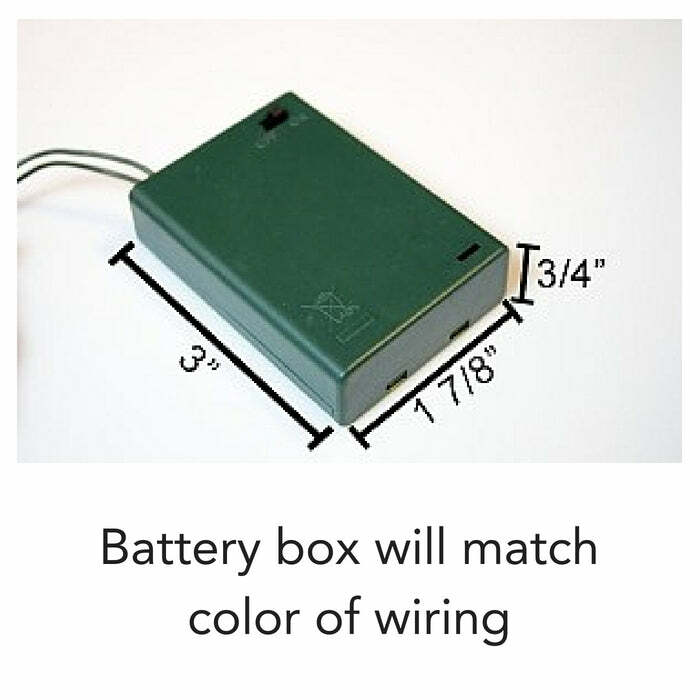 These battery operated Christmas lights are easy to use and only require 3 AA batteries. 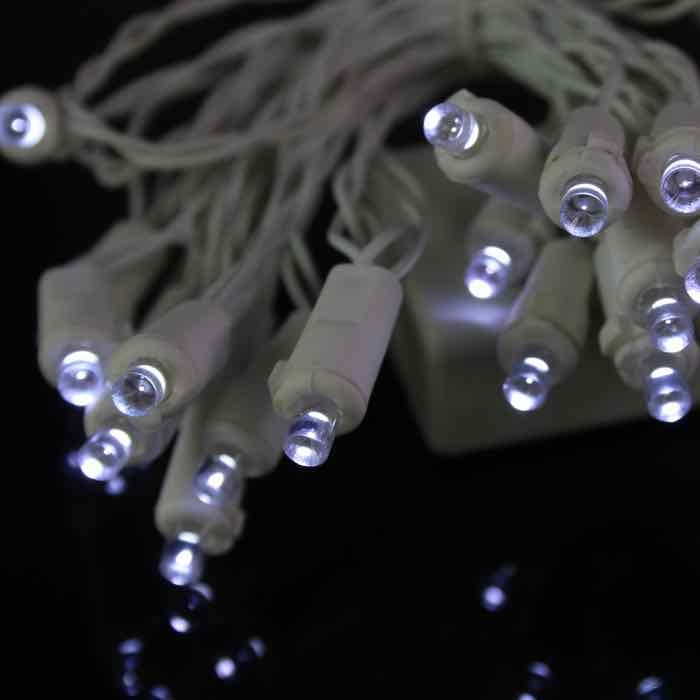 Pure white LED lights are a great choice for brides who want extra sparkle on their wedding reception tables. They fit nicely into vases and other small containers. LED construction also guarantees virtually no heat output, so they are a safe choice as well. They are moisture and weather-resistant so use them with assurance in your outdoor applications. Fill an old bucket with pinecones and cotton batting. Nestle these lights around those items and you have a welcoming decoration for your entryway. 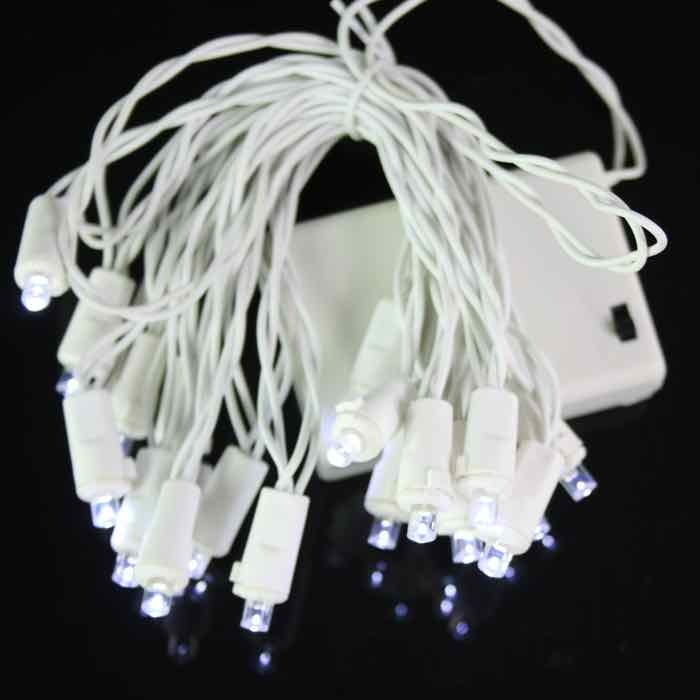 We know you will find many creative uses throughout the year for these battery operated LED Christmas lights. The lights worked great, the only problem is that I should have ordered more lights. I will solve that problem next year and increase the number by at least 100%. The C. W. Parker Carousel Museum had a rotating carousel,on a trailer, as our float for this holiday parade. We had a lot of good comments from those on the parade route.